President Obama may not get as much Latin Americans support as previously anticipated. With Univision — the “leading media company serving Hispanic America” — set to broadcast a “bombshell” report tonight on Fast and Furious apparently focusing on the many deaths it caused in Latin America, his support seems likely to diminish. As observed at PJ Tatler, Univision has not coddled President Obama recently. Univision’s anchors grilled President Obama about Fast and Furious during a town hall meeting on the network earlier in September, suggesting that Attorney General Eric Holder ought to be fired over the deadly scandal. Univision’s prominence among Spanish-speakers could have a big impact. Fast and Furious victims have mostly been Mexican citizens caught up in the drug war. Among other groups of Fast and Furious victim stories Univision says it will tell in the special to air Sunday evening at 7 p.m., is one about how “16 young people attending a party in a residential area of Ciudad Juárez in January of 2010″ were gunned down with weapons the Obama administration gave to drug cartel criminals through Fast and Furious. Univision has aggressively covered Fast and Furious, and its most recent major run-in with the scandal came when network anchor Jorge Ramos grilled Obama in an interview on the scandal, asking him why he hasn’t “fired” Holder. During the interview, Obama made at least one false statement relating to Fast and Furious. Univision aired Meet the Candidate interviews with Romney and Obama — on Wednesday and Thursday, respectively — and slightly more viewers opted for Romney. The challenger’s one-hour special pulled in 2.8 million viewers at 10 p.m., topping Obama’s telecast by 100,000. While the skewing in favor of Governor Romney was modest, I found it surprising that President Obama was not substantially more widely viewed than Governor Romney. Might it suggest that Hispanic voters’ interest in Governor Romney may be increasing while that in President Obama is diminishing? As noted above, it was during that Univision interview that President Obama was — for the first time during a major broadcast widely viewed by those commonly seen as his avid supporters — seriously questioned about Fast and Furious. Generally, he responded ineffectively with talking points. During the Univision report coming up tonight, likely to be widely viewed, some of those talking points will probably be challenged effectively. During an interview in Caracas, Venezuela’s el Presidente Chávez said that if he were an American, he would vote for President Obama. I suspect he may have been truthful — an uncommon occurrence — about his views of President Obama if nothing else. CARACAS, Venezuela (AP) — Venezuelan President Hugo Chavez has weighed in on the U.S. presidential race, saying he prefers President Barack Obama. Chavez also said in a televised interview that aired Sunday that he’d like to have “normal” relations with the U.S. government. Like President Obama, el Presidente Chávez is facing a tough reelection battle. The Venezuelan election is scheduled for just one week away, on October 7th. Might he have been trying to present a more moderate Chávez than previously? I don’t know; perhaps, or perhaps he was just flailing around. He has been doing a lot of that recently. Chávez’ opponent is doing quite well even in Caracas. Here is a photo of his rally today. This may be the first time during Chávez’ long time in office when he stands a better than even chance of defeat at the polls. Despite pontifications by our own beloved Former President Carter that the Venezuelan electoral system is the best in the world, massive fraud seems likely. 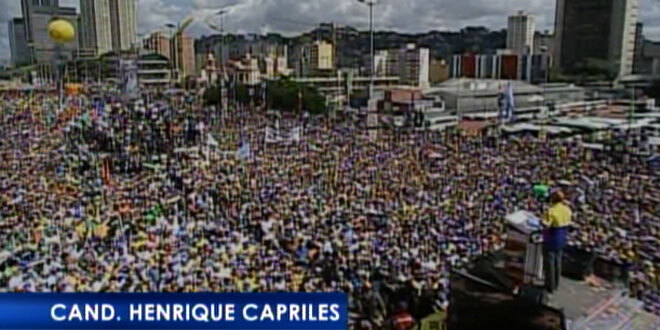 Even if Capriles wins it does not necessarily mean, of course, that Chávez will relinquish the presidency. If he does not, civil war is possible. What will the Chávez endorsement, considered separately, mean for President Obama’s chances of reelection? Probably little. The biggie should be tonight’s Univision Fast and Furious broadcast. Perhaps the Chávez endorsement will help Governor Romney, just a bit; the Univision broadcast should help a lot. Maybe the combined effect of both will be greater than of either separately. On January 30, 2010, a commando of at least 20 hit men parked themselves outside a birthday party of high school and college students in Villas de Salvarcar, Ciudad Juarez. Near midnight, the assassins, later identified as hired guns for the Mexican cartel La Linea, broke into a one-story house and opened fire on a gathering of nearly 60 teenagers. Outside, lookouts gunned down a screaming neighbor and several students who had managed to escape. Fourteen young men and women were killed, and 12 more were wounded before the hit men finally fled. Juarez is, of course, on the border with Texas. 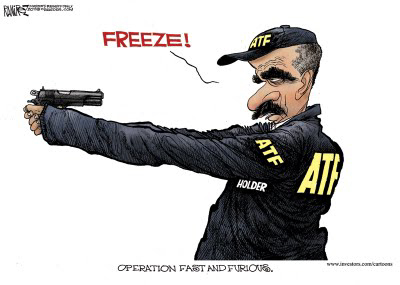 Univision News identified a total of 57 more previously unreported firearms that were bought by straw purchasers monitored by ATF during Operation Fast and Furious, and then recovered in Mexico in sites related to murders, kidnappings, and at least one other massacre. Will voters like what they are now learning about F&F? Most probably won’t. This entry was posted in Chavez, Cuba, Elections, Globovision, Hispanic, Obama, Politics, Regime change, Romney, United States, Venezuela, Voting and tagged bureau of alcohol tobacco firearms, politics. Bookmark the permalink. What is wrong with Hispanic’s that support Obama. I guess the same thing that is wrong with Black’s, White’s, Asian’s and the rest that support him. Blind, deaf and dumb. Why this is a news? Obama shook the buggers hand few years ago! 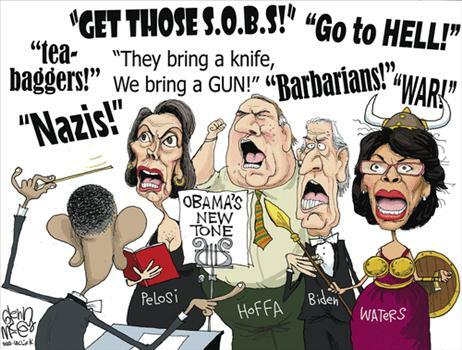 Will America be lost because noone had the guts to expose Obama? I wish I had access to that Univision program on Fast and Furious. This could be important in how it affects the Latino vote. I wish we could both watch it. I probably can’t either. However, it seems likely that parts of it at least will be up on YouTube later.